Struggling with your mobile connection? Don’t blame the operators, it’s all the fault of Stranger Things and those hilarious You Tube videos. According to research from Openwave Mobility, HD streaming has risen to 38% of mobile video traffic – way above mobile operators’ expectations. This represents a staggering rise: just four years ago, HD video accounted for just 5.7% of mobile video traffic, it’s expected to reach 50% by the end of next year, claimed Openwave Mobility. Currently, more than 820 million people across the world watch YouTube and Netflix on mobile devices. 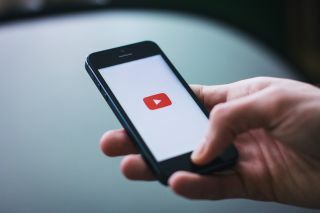 What is causing particular problems for the mobile operators is the level of encryption being used by over-the-top (OTT) video streaming providers, the likes of Netflix and You Tube. Openwave Mobility’s research found that 75% of all mobile traffic is now encrypted, a factor that’s hindering operators’ ability to maintain subscriber quality of experience (QoE). What makes this an issue is that the video providers’ encryption protocols prevent operators from optimizing data using conventional traffic management tools. The growth in encryption is such that Openwave estimates that 90% of all mobile Internet traffic will be encrypted by this time next year. We’ve seen an especially high growth in UDP-based encryption, in particular, the use of Google’s QUIC protocol, usage has risen a whopping 284% in the past year.